January kind of gets me down. All the celebrations (and food) from Thanksgiving through Christmas and even New Year’s, then that “What have I done feeling” when it’s all over. Then there are the New Year’s Resolutions. And the cold. And even though every day brings another minute or so of light, the dark, dreary winter. But sometimes, there’s an opportunity to inject a little sunshine into your life, and this Orange Balsamic Vinaigrette is just that. I became enamored of the idea of a combo of white balsamic combined with the bright zest of orange after coming across a salad from Cubby’s Restaurant, a Beet & Goat Cheese Salad, which is coming up next. 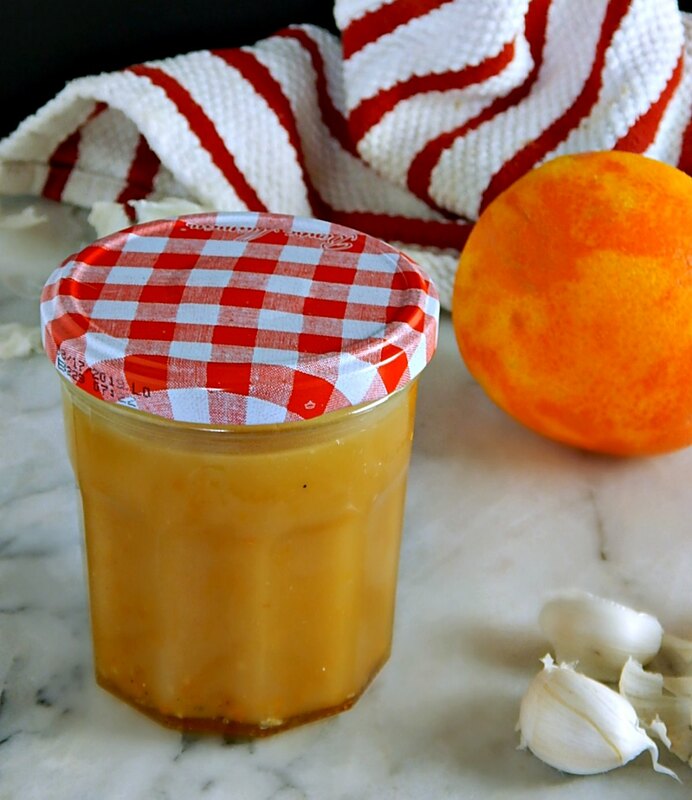 I gotta tell ya, I have an amazing Citrus Honey Vinaigrette on my site already and it’s so good you’ll want to just drink it. It’s very, very good. But sometimes I like to get a little serious, down and dirty (I’m not really a bad girl…but) just a bit “grittier” and thought the White Balsamic would bring a deeper, sharper element to offset the larger amount of citrusy orange zest I wanted to use. I think I was right. This dressing has a little sweet, yes, but also garlicky, citrusy and peppery and, well, zesty. More robust, I think is the word I’m searching for. Truthfully, I’ve never actually had the Cubby’s Beet & Goat Cheese Salad at their restaurant, but that wasn’t going to stop them from inspiring me. And as I developed this Orange Balsamic Vinaigrette I just knew it was enough flavor to stand up to a Spring Salad Mix. It has enough acidity enough to offset the sweet Mandarin oranges and cut through the buttery richness of the avocado in that salad, while the peppery component will accent those beets. I can’t help but think of so many salads this Orange Balsamic Vinaigrette would be good on, though. Spinach salad comes to mind immediately, punchy arugula and even a fruit salad. And I used this same vinaigrette to sprinkle on some beets before roasting. The ingredients for Balsamic Vinaigrette, like most vinaigrettes, are simple. The surprise is there’s no actual orange juice in the dressing, just the zest, and you can see it is still a gorgeous orange color. The bonus is the orange can be supremed (cut into sections between the fibrous parts separating the sections) and added to the salad. If you don’t forget that is, and eat the orange before it gets to the salad, forgetting it’s your last one! For this dressing, I recommend a garlic press if you have one…and if you do have or get one, try to keep track of the little part you press back through to clean it out because they are such a pain to clean without it. I make an effort to always put it in one certain section of my drawer divider every single time. Once your hands are covered in garlic, remember the little hint of rubbing your fingers on steel under running water. It really does help. I love making my dressings in a jar; they can be shaken together and stored right in the same container. Now, this particular dressing would have been better off in a bit bigger jar, but it all just fit. If you are storing your Orange Balsamic Vinaigrette or any Vinaigrette with olive oil, store it in the door of your fridge where it’s not quite as cool; there’s less chance it will harden up. If it does harden up, set it out on the counter and it will liquify at room temp or pop it in the microwave for a few seconds. Think about stocking up on any vinegar around Easter when, of course, the big jugs of white or cider are going to be on sale for dying eggs, but check around the corner in the condiments aisle for unadvertised salad vinegar. It’s often on sale, too. And it might be on sale throughout the summer. Stock up for the year is you like to make your own dressings. They’re so much better than store-bought, you can make any flavor you’d like and make a small enough amount that you can always be rotating in your new fave! Oranges are usually at their best price in early winter to late spring, and you’ll find all kinds of orange on sale, too. Hello, cuties!! It doesn’t matter what kind of orange you use in this recipe; it’s fantastic even with cheap, bagged naval oranges – and since this dressing only uses the zest, it’s a great use of an orange that might be going out and a bit on the dry side. There’s quite a bit of oil in this Orange Balsamic Vinaigrette and if you use olive oil, you’re using the good kind. This isn’t the place to look for the most expensive olive oil; it’s a part of the flavor but against the orange and balsamic flavors, the olive oil should take a back seat. This recipe makes far more than you’ll need to dress a single salad, so keep any excess for a future recipe; your homemade Orange Balsamic Vinaigrette doesn’t have any preservatives but should keep very well for 4 to 6 weeks. Your olive oil will harden in cold temperatures, so keep in the door of the fridge where it’s warmer; bring the dressing out ahead to warm up or microwave the dressing for a few seconds at a time. In a jar, mix together all ingredients. Shake to blend. Taste and adjust. Serve immediately or store. Keeps well for several weeks. Some oils may harden at refrigerator temperature. Keep in the door where it is less cold and bring out ahead or microwave a few seconds if needed to bring to room temperature. I’ll be sharing my Orange Balsamic Vinaigrette at Fiesta Friday #260, hosted this week by Diann @ Of Goats and Greensand by Moi! Stop by and visit and see what this special link party is all about. This entry was posted in Click here for Fabulous Food Posts and tagged Olive oil, Orange, Orange Vinaigrette, Vinaigrette, white balsamic vinegar. Bookmark the permalink. Thanks! I’m loving this right now!! This seems like a great dressing to keep in mind when one is making a salad, or a marinate. Definitely a keeper. Thanks for sharing with Fiesta Friday, and I’ll be sure to try this one. Funny you should say so – I used it in a marinade, too, for a dish I’ll get out today or tomorrow! I think most people use the pricey stuff for kind of a finishing on a dish, or mix with olive oil and Italian herbs for kind of a dipping sauce for bread, although it would still be good in a dressing, it might be stronger and you might not need as much. Then you’d go by taste and add just a little touch of water or oj to make up the liquid. We can certainly use some sunshine over this way, so why not a bright and tasty salad dressing for a lovely looking salad. Chubby s sounds like my kind of place. The name alone draws me in. I feel as if I’m obligated to go to a Cubby’s now and have this salad, there!! Thanks, Teresa! I’m sharing out the actual salad next, just got behind! And happy New Year! I’ll be by in a bit to see what you’ve been up to. I could use a dose of inspiration and your lovely blog is a fresh of spring air! This is really delightful. I make all of my own vinaigrettes and dressing, and I use fruit often, or reductions of juices, but I’m not a huge citrus fan. I like them, but tend to pick other fruit. But seeing that salad and how perfectly the vinaigrette would go on top with the garlic and orange zest? Perfection. Thanks, Mimi! It was orangy and citrusy but the lots of garlic and lots black pepper balanced it out. It’s the first time I used the pepper grinder since my hand problems and the garlic press…thought I would die, lol!! But all the pain was forgiven at first taste! Delicious Mollie 🙂 I hope you are feeling better. Hi Sophie, yes, and thanks!! Although this dressing was harder to make than I thought! I was like, I’ll make a salad, that will be easy, then there was the garlic and the grinding of the pepper…but I’m getting better every day! Hi Mollie! This looks delicious! I’m going to have to try this recipe! I love this one! Might even be a good marinade if you like citrusy chicken wings! That sounds great. And it’s Paleo, too! I have a real problem with storebought dressings and betting it’s hard to find any paleo ones at all! I’m glad you like it!